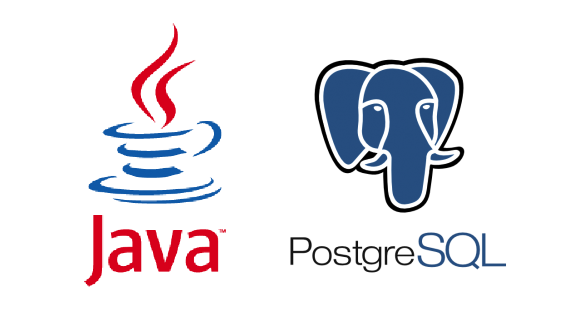 This is part of a series of blogs on Java & PostgreSQL. For links to other blogs in this series, please scroll to the end of this post. Starting v9.2, PostgreSQL is providing native data type support for JSON objects. Subsequent releases introduced JSONB (binary formatted JSON objects) and many data manipulation functions for JSONs, making it a very powerful tool for NoSQL operations. String manipulation and parsing are very expensive operations in a database, so although you could have potentially stored JSON objects in strings in PostgreSQL before, introduction of the native data type has taken away overheads and made throughput a lot faster for JSON manipulation. The JSON data type checks for a valid JSON format, so insert statements should be mindful of that. The simple Java program below inserts 4 records into the table we just created. Notice how the string is being cast to JSON within the prepared statement. While retrieving JSON data, you can use either PostgreSQL native operators to access individual elements or you can use the JSONObject Java library to process the objects within Java. Examples of both cases are given below. PostgreSQL provides the ‘->’ operator to retrieve values of the various keys in a JSON object. The sample program below retrieves a list of ‘customer_name’ and then a list of ‘description’ of ‘items’ of the sale. The latter is an embedded JSON. In order to use JSONObject with your Java program, you need to have its library jar file in your CLASSPATH. The jar file is freely available from many locations including this one. Basic JSON manipulation will be described below, but you can get more API details here. For anyone interested in using standard JSR-353 javax.json. * objects in combination with Hibernate, there is now a type module you can use for that. You just have to add the dependency to your project. Type contributors are loaded at the creation of the EntityManagerFactory. Minimum Hibernate version for it is 5.1 and any JSR-353 implementation. One limitation is that you currently cannot bind JsonArray objects as parameters to native queries. That is a problem from the hibernate-core and may be fixed by 5.2.9 and possibly back-ported since 5.1 is still under maintenance. I want complete JSON Object of all rows & print it in a single file.Any idea?? while using COPY its add ” ” before every key itself, so json is corrupt. HI, Rajat you can parse your json data with string builder and remove the unwanted characters, here is the java code- to replace “} with }, “” with “, you can add more characters according to your requirement. Is it possible to get an example of native query using jdbcTemplate with jsonb in where clause. Here the column value has jsonb data. same problem, did you find an answer ?